Increased machine production to accommodate larger parts and rebuilt cabinet with manganese wall and manganese liners. The abrasive storage hopper was modified in order to feed additional wheels, with a complete project installation in 4 days. 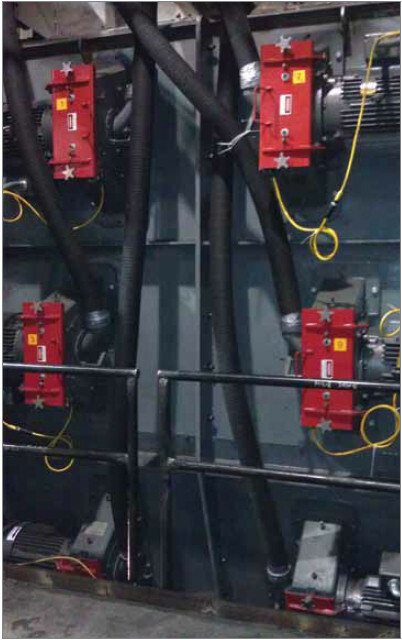 Designed and Created 2 key blast zones to clean specific areas in each blasting work envelope. The 1st blast zone is targeted to clean a specific area of the part and the 2nd blast zone is targeting another hard to clean area of the part. The machine was upgraded and modified from 8 blast wheels to 12 blast wheels.